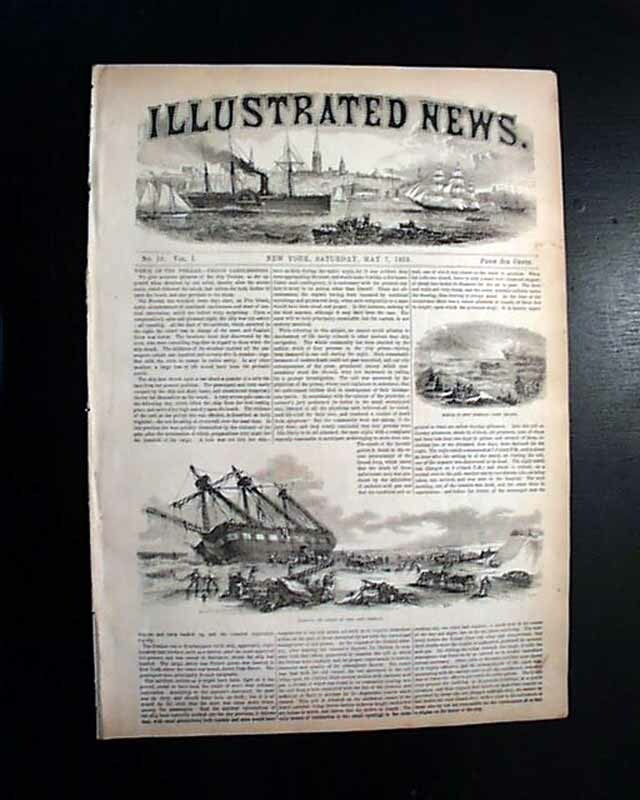 ILLUSTRATED NEWS, New York, May 7, 1853 Various illustrations within including a small one of the: "Exterior View of the Jewish Synagogue, Clinton St." and a related article: "Synagogue of the Jews" (see). 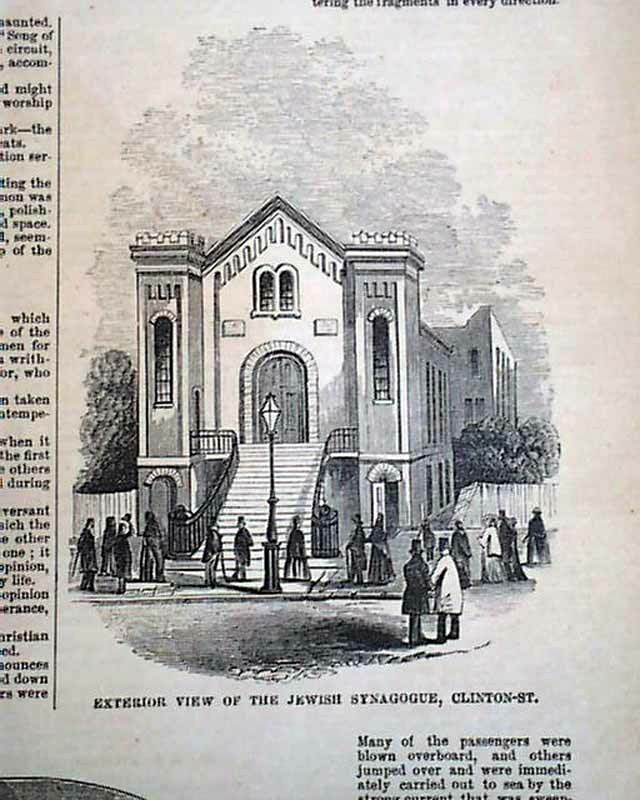 This "Rodolph Sholom" synagogue was located on Clinton between Houston and Stanton Streets in lower Manhattan but is now the congregation Chasam Sopher. 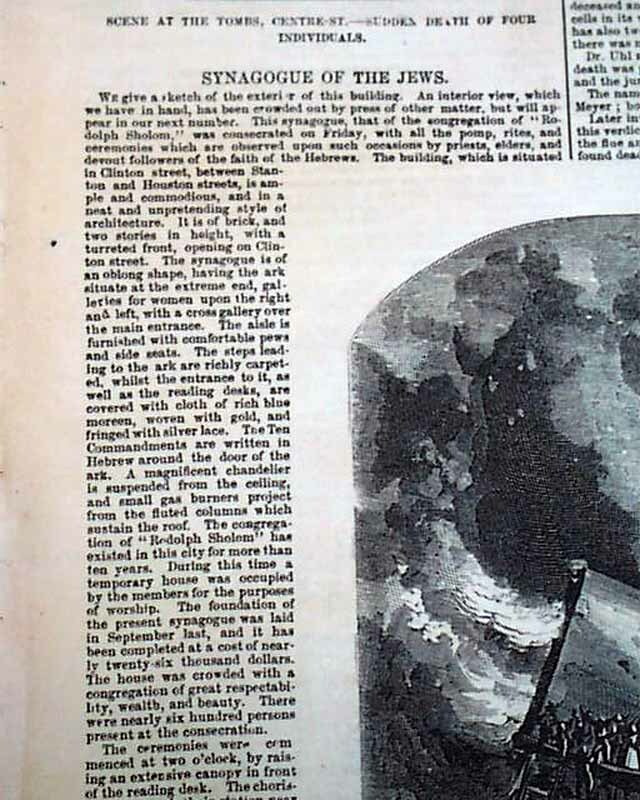 Google.com notes: "This is the oldest building in Manhattan built as a synagogue and still used for worship. 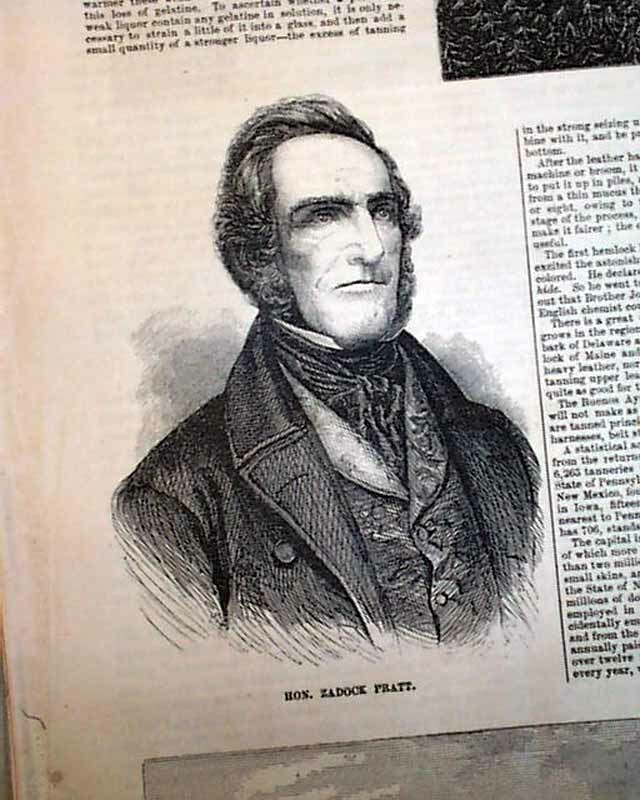 It was built by a German-Jewish congregation known as Rodeph Sholom." 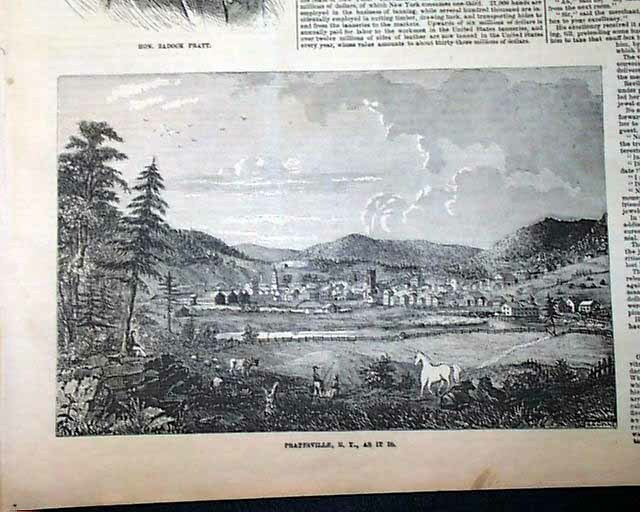 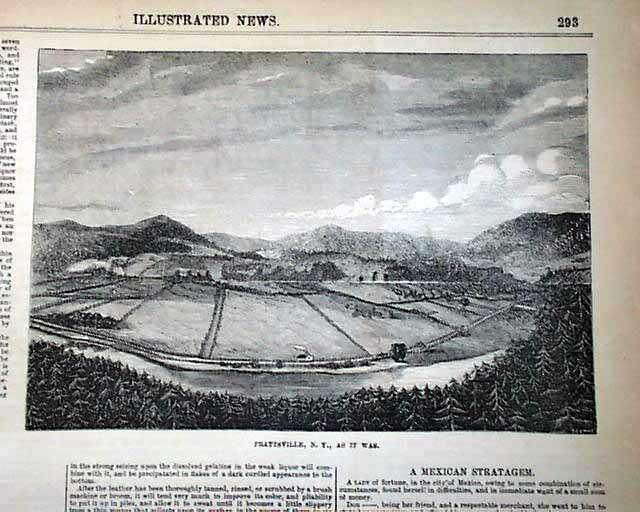 Also a nice view of: "Prattsville, New York, As It Is". 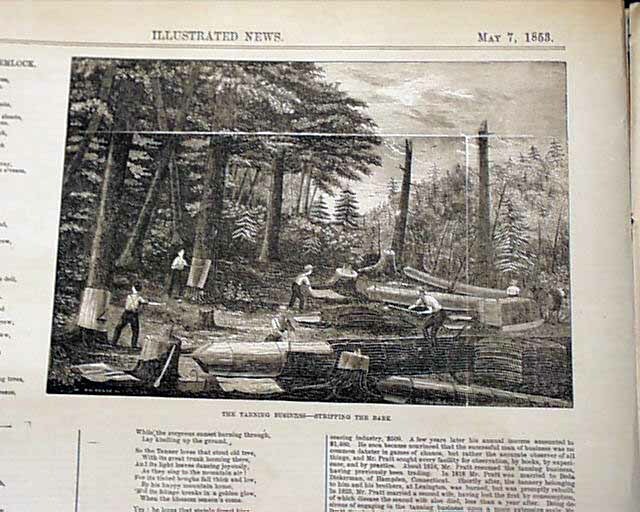 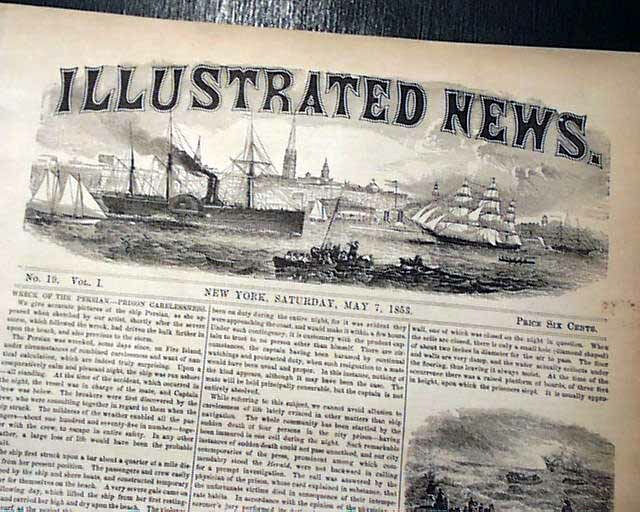 Formatted very much like Harper's Weekly although predating it by four years, with the masthead featuring a nice engraving of the New York skyline at the time.